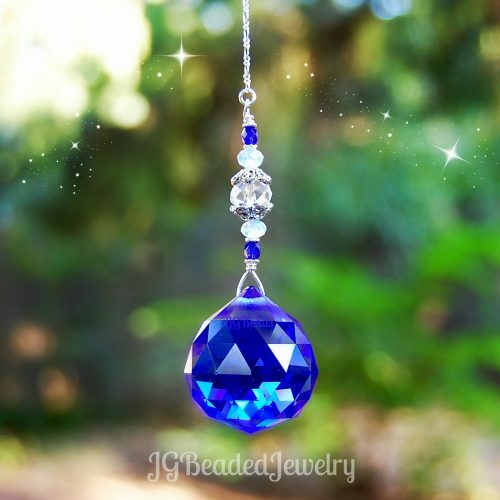 This teardrop crystal mobile can be hung on the rearview mirror, in a window or wherever you choose! 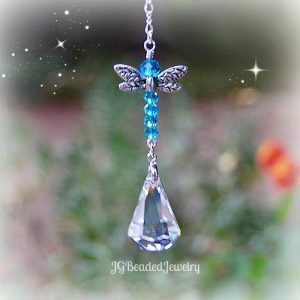 This design is unique and crafted with love, care and attention to detail for strength and longevity! 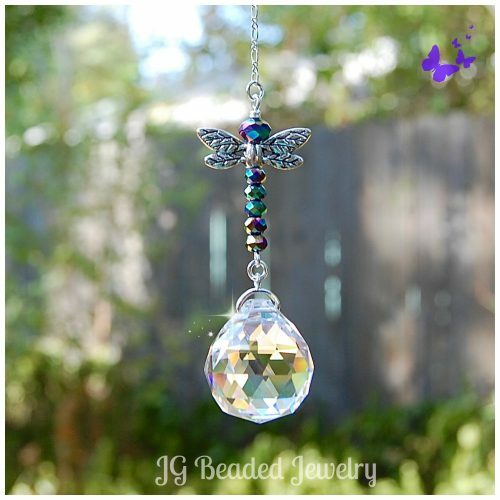 It wire wrapped with a stunning and flawless aurora borealis Swarovski crystal in the center of the circle, along with silver shade Swarovski crystals, purple faceted crystal beads, an etched silver metal bead and a faceted teardrop prism crystal which dangles at the bottom.